Glacier National Park may soon need a name change. One of Montana’s most majestic places is fast disappearing; at least its glaciers are—at a clip of 90 feet every year. The park’s remaining glaciers will be gone in a little over two short decades. Perhaps there is no better confirmation that the earth is heating up than the glacial retreat taking place in this northwestern corner of Big Sky country. As a teenager I used to venture through the park in search of wilderness and solitude. A chance to catch a glimpse of a Canada lynx, my favorite bobtailed wildcat, was worth the risky journey through these treacherous Rocky Mountain ranges. Montana was home and snow-capped Glacier Park my refuge. Times have surely changed. Those glaciers I took for granted 15 years ago have now mostly vanished, leaving barren rock behind as their earthly tombstones. In the late 19th century, when conservationist George Grinnell dubbed this place the “Crown of the Continent,” there were approximately 150 glaciers. Today, less than 30 remain. And sadly their deaths are imminent. Glaciers in the park have been slowly melting since the 1850s, with a cooling period during the 1940s-1970s, but since then the pace has been a rapid, perpetual decline. It’s a tale Westerners are becoming accustomed to these days. Our wilderness is dying and the species it cradles are evacuating, or going extinct as a result. 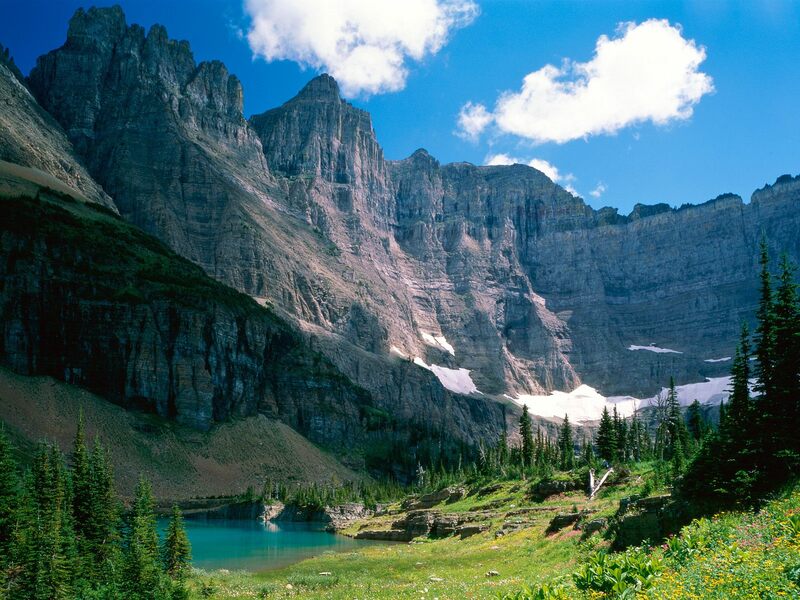 In 2006 a dozen environmental organizations petitioned to designate Glacier National Park and the adjacent Waterton National Park in Canada endangered. Together both parks are known as the Waterton-Glacier International Peace Park, which was deemed a World Heritage Site in 1995 by the United Nations. “The effects of climate change are well documented and clearly visible in Glacier National Park, and yet the United States refuses to fulfill its obligations under the World Heritage Convention to reduce greenhouse gas emissions,” said Erica Thorson, an Oregon law professor who authored the petition submitted to the UN’s World Heritage Committee. The park was never designated endangered, and the glaciers keep melting. The glacial disappearance in the park follows a pattern that has accelerated around the world since the early 1980s. Mt. Hood, a Cascade statovolcano that can be seen from nearby Portland, Oregon on a clear day, has also fallen victim to our warming climate—all 11 of Mt. Hood’s glaciers are vanishing. In 2006 a team of researchers at Portland State University reported that the mountain’s glaciers lost approximately 34 percent of their volume since 1982. When glaciers disappear rivers begin to dry up; any increase in melting can have extreme impacts on local water supplies. In the western continental United States there are slightly over 1,700 glaciers, 1,225 of which are located in the state of Washington. Glaciers in the Evergreen State provide over 470 billion gallons of water in runoff each summer. Yet snowfall in the Pacific Northwest is declining while temperatures in the region are rising, and this has many scientists concerned. Interestingly enough, the seven glaciers that sleeve up the slopes of Mt. Shasta are actually growing. While climate change is increasing the drying up of glaciers all over the world, this solitary, dormant volcano in California is benefiting from consistent temperature changes off the Pacific coast. Shasta’s are the only glaciers in the Lower 48 that are not in retreat. It’s a different story in Alaska, however, where almost 99 percent of all glaciers are shrinking. Professor Tulaczyk, whose research team has been studying glacial activity on Mt. Shasta, believes that increased precipitation on the mountain is resulting from the Pacific Ocean heating up. This is causing spring snow accumulation to be heavier in Mt. Shasta’s higher elevations. In turn, this snow increase helps Shasta’s glaciers grow instead of shrink. Back in the Northwest, not only is habitat at risk because of global warming, but so are human water supplies. Stream flows are shrinking as a result of glacial melt and in places like Washington it is beginning to affect summer drainage into man-made reservoirs. Unfortunately, as demonstrated in Copenhagen last month, even those who believe man is contributing to climate change still cannot agree on which method will best reduce greenhouse gas emissions. Cutting carbon dioxide output remains the best approach to minimizing the impact of global warming. But even if we do so, as the renowned climate scientist James Hansen and others have argued, many of these glaciers, like the ones I traversed not long ago in Montana, will still be gone by the time I turn 50. The next generation of nature lovers may wonder why the 16,000-square-mile Glacier National Park does not have any glaciers left. They may also ponder why we didn’t do more to save them when we had the chance. As debate rages on about how to handle climate change, precious time is being wasted. Even so, we all know who the real villains are.